Planning to go on holiday with your children? We provide a range of holiday accommodation which you can escape to with your children from cottages to B&Bs. Family holidays are about fun, quality time together. Explore the countryside and coast with child-friendly walking and cycle trails. Visit ancient monuments and landmarks. Discover the country’s heritage and culture at local events and festivals. This page has been designed to help you find family friendly accommodation to suit your family holiday in the UK, Ireland and France. Our properties offer plenty of facilities for children such as indoor and outdoor play areas, swimming pools, baby equipment and plenty of outdoor space for running-around space. 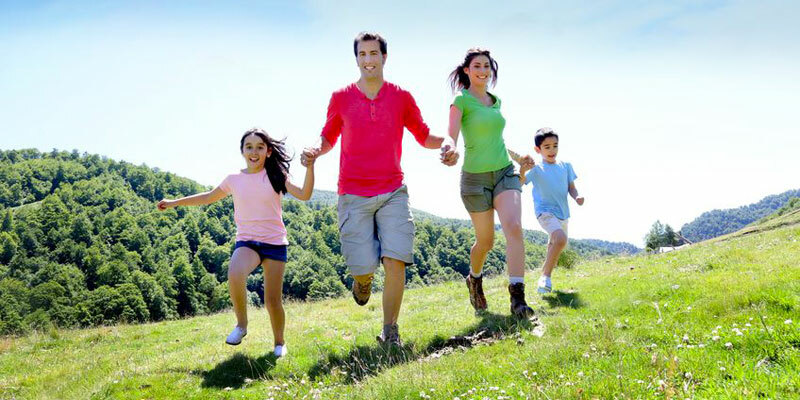 Happy kids allow parent to have more peaceful and relaxing holiday. Self catering cottages and holiday homes are great for a family holiday as can provide you and your family with convenience, privacy and freedom. Some self catering owners will provide cots, high chairs and play areas. Self catering can sometimes work out to be cheaper than serviced accommodation.